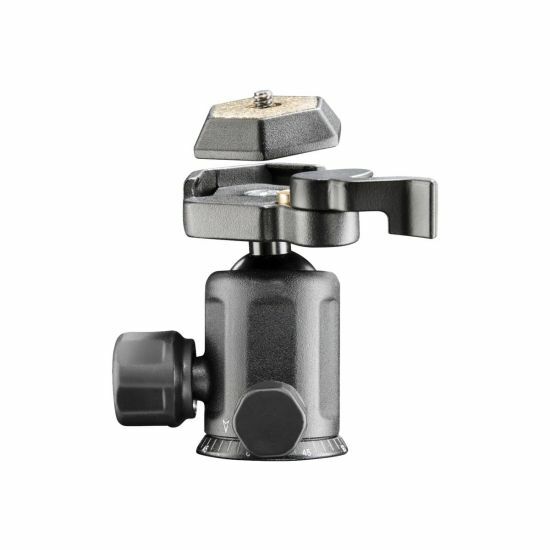 The solid aluminum construction and the smooth-running ball joint build an unbeatable team and therefore a first-class ball head for your tripod. 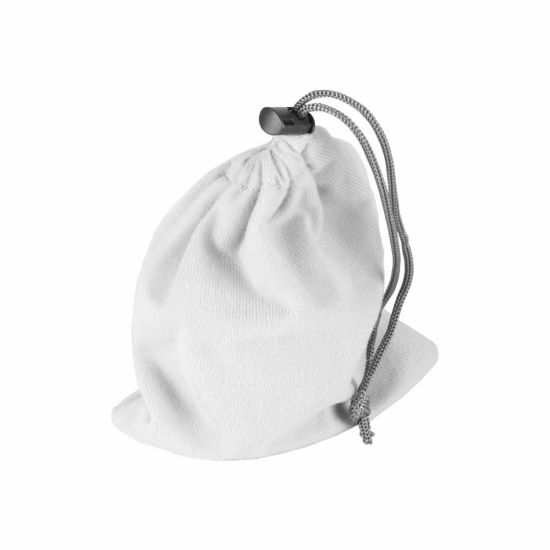 The head is perfectly suitable for SLR and digital cameras. 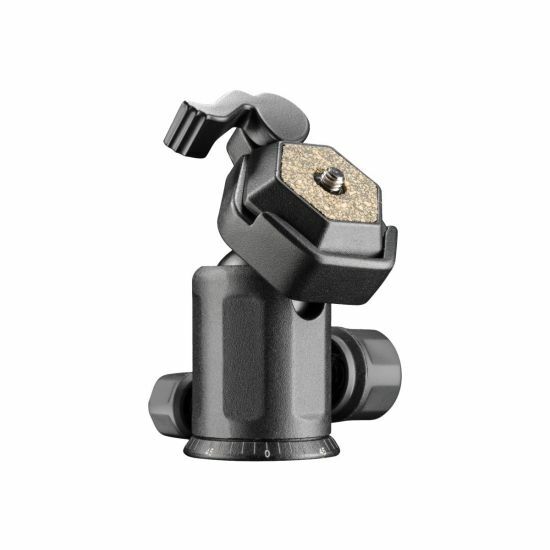 Two locking levers support the optimal positioning of the ball joint and thus the exact adjustment of shooting angles. 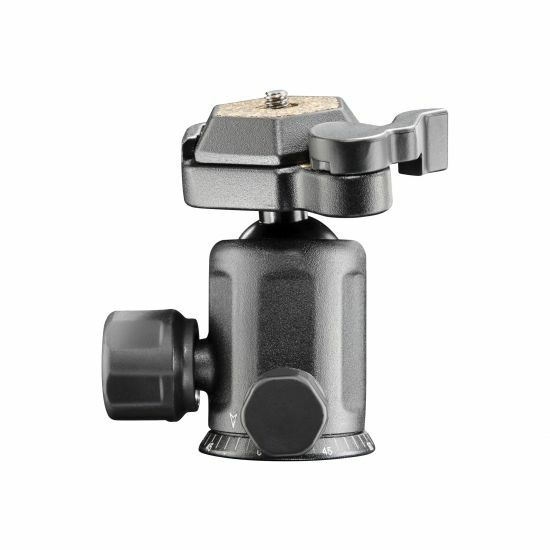 Certainly, the convenient quick-release plate contributes to the comfort, because thanks to the quick-release device you are especially flexible. Hovedtype for stativ med ben "ball and socket"
Hoved for stativ med ben "ball and socket"